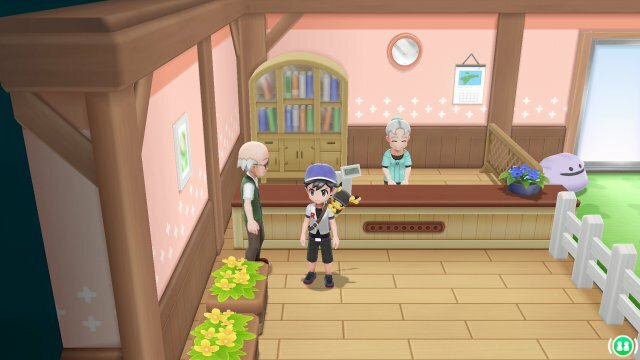 The IV Judge is once again a function within the game and not by going to a certain person, but it requires unlocking. To unlock it, you need to find Professor Oak's aide in the gate between Routes 11 & 12. If you have 30 Species of Pokémon registered in your Pokédex then he will unlock the feature. 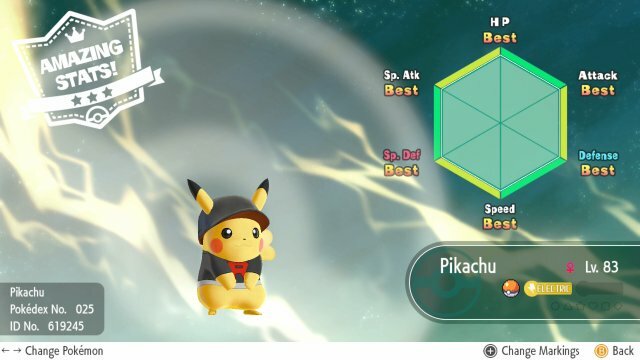 This feature is found in each Pokémon's summary screen by pressing Y or shaking the controller. 151 to 186 Amazing Stats! 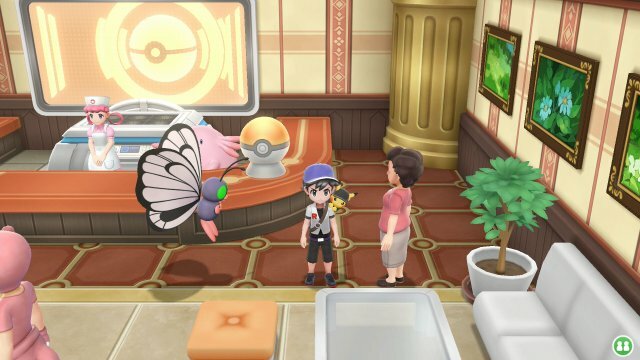 As breeding is not a feature within these games and Pokémon don't have abilities, there is no easy ways to manipulate wild Pokémon natures, except by one character. 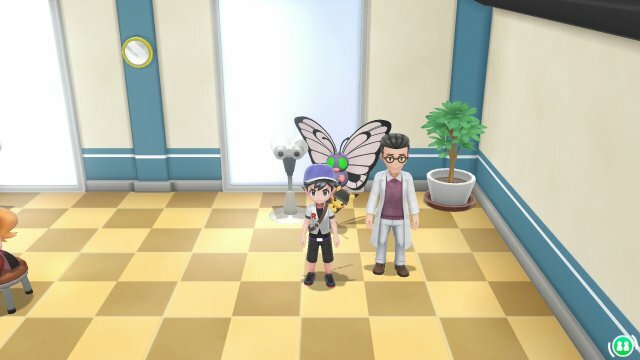 In Celadon City's Pokémon Center, you will find Madam Celadon. For 10,000, she will ask you a question asking you which colour of flower you choose to water. This determines the dominant stat. Then, she'll ask which one you'll thin out indicating the hindered stat. She'll then tell you which nature you'll see more prominently in the wild for the rest of the day. 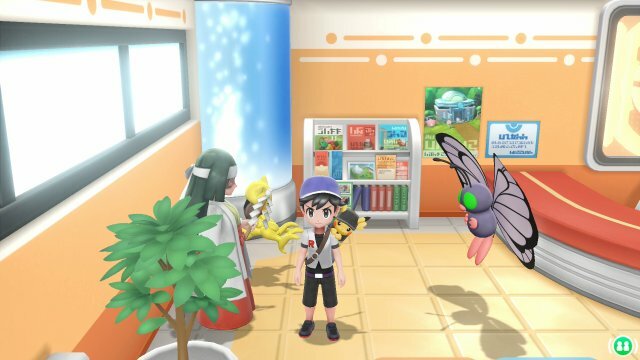 The Move Reminder is once again one of the most important Move Tutors in the game. Located in the Indigo Plateau, this character will teach your Pokémon a move that it has in its Level Up learnset, including moves that it wouldn't learn until a later level. This is done in exchange for a Heart Scale which can be found by playing with Pikachu. 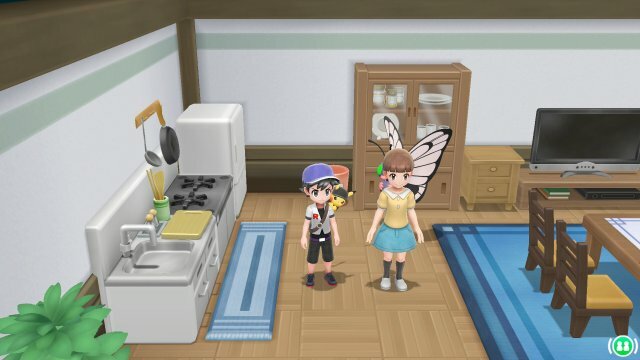 In Pallet Town, you can talk to your rival's sister and she will tell you how happy your Pokémon are with you. This is done with a specific phrase. This is especially more important in this game as Pokémon with max happiness have a 10% boost in stats. 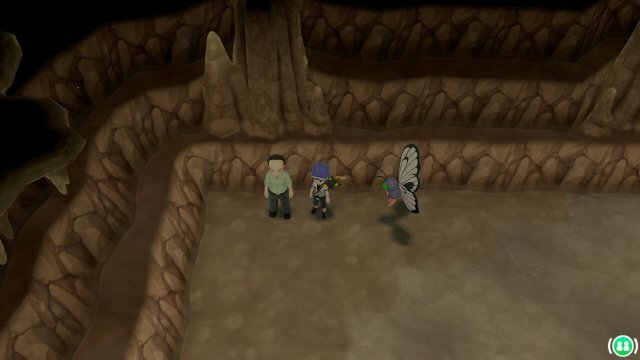 In the various caves of the Kanto Region, you will often find a man in a corner of the cave. If you ever have 9 or less Poké Balls, the man will give you 10 Poké Balls so that you can get back to catching. This comes at no cost..